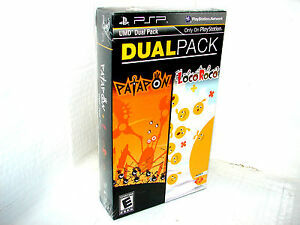 Patapon for Sony PSP Portable Factory Sealed! Brand New! jandsgames has no other items for sale. Lot of 12 (Sealed Case) Secret Agent Clank Sony PSP *Free Shipping! Delivered on time and product was as described. Arrived early and as described, smooth purchase. Great doing business with. Fast shipping. Item arrived quickly and in excellent shape. Thank you! Great Seller! Super Fast Shipping! Easy Transaction! Thanks! Exactly as described! Great ebayer!! At first I thought, "nah, this is not gonna be good." But then i got the games and now I'm like, "this is amazing!" This was a great deal and the games are so fun and addicting! You like rhythm games, you like action, or even just seeing cute characters? Then buy this product, boii.